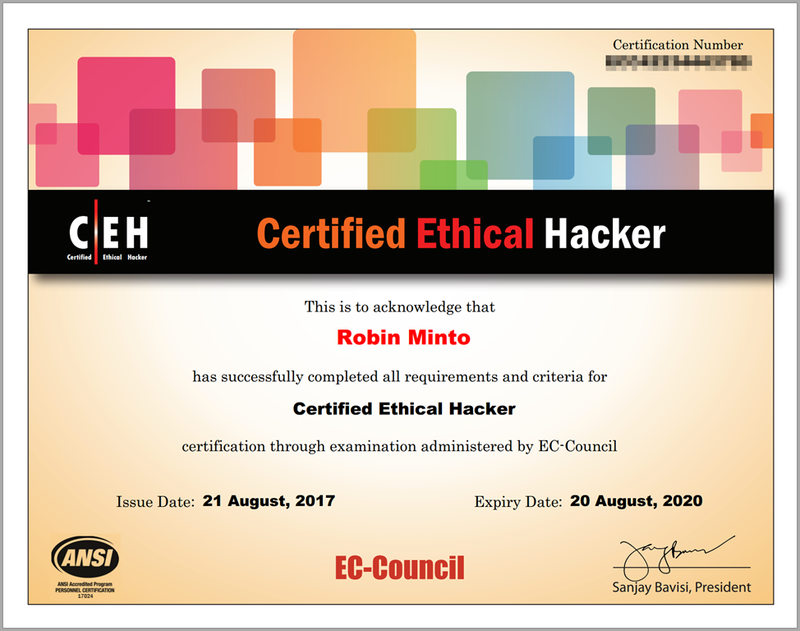 Robin Minto | Certified Ethical Hacker? 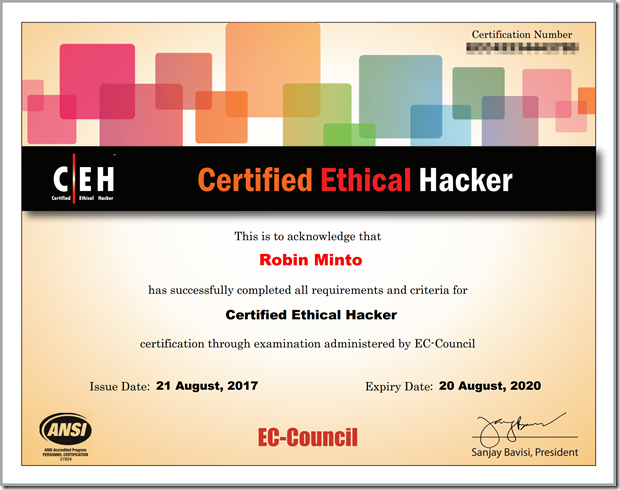 This week, I took the Certified Ethical Hacker exam – again… The first attempt at the exam didn’t make for a happy story. I was convinced that they couldn’t possibly have lost all of my work – the database must have stored each answer as I submitted it, surely?! I went backwards and forwards with EC-Council to no avail. They offered an “upgrade” to an exam held at a test centre but that was a step backwards as far as I was concerned. Having assured me that they’d resolved the issue with the web app, I rescheduled the online exam. I’ll come back to the exam process later but I want to talk about certifications in general, why I was looking at CEH certification and how I prepared for it. I’ve been working in software development for a long time and I’ve never felt a definite need for certification. I’ve done a lot of recruitment over the years, I’ve looked at a lot of software developer CVs and certifications have always been a bonus feature and never a requirement. Impostor syndrome seems to be very common amongst software developers and I count myself in that group. I have, from time to time, wondered if a certification would validate that I can actually develop software against a recognised standard, say Microsoft Certified Solution Developer. Looking at the certifications available though, I’ve never been content that they were validating the right thing so I’ve focused on learning and continuous development, comparing notes with peers in the industry to benchmark myself. So why did I even get into this process at all? I’ve been into security for years – it was probably down to WarGames. The school computer lab was the location of a wargame of a different type where we’d pwn each other’s accounts, or the teacher’s. This was a more innocent time – a long time before the UK Computer Misuse Act! Information security is intertwined with software development. The internet makes the software that we write accessible to users good and bad, and I’ve always been very conscious of that. One of the earliest bits of professional software that I wrote would hash the contents of a website so that unauthorised modifications could be detected. Security doesn’t get enough attention from software developers though so I’ve been speaking on the subject for a couple of years to developer user groups. I gave a lightning talk on OWASP ZAP at .NET Oxford recently. Here’s a talk I did to London .NET at Skills Matter last year. 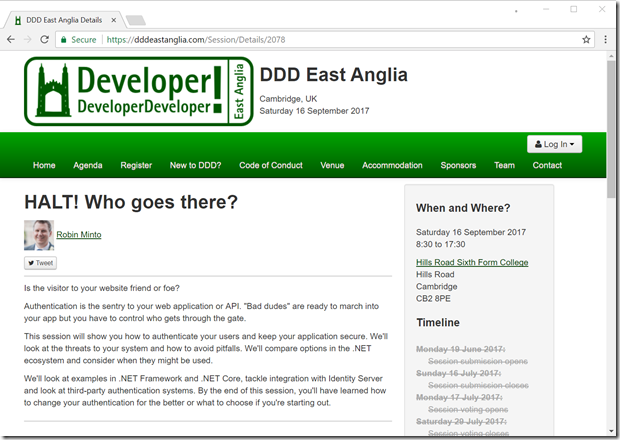 I’ve spoken at DDD Reading, DDD South West and I’m speaking about authentication at DDD East Anglia next month. I’ve been to many events and user groups as an attendee and it’s fantastic to give something back as a speaker. I’ve been incredibly lucky to be chosen to speak at all of these events but I’d like to do more. Along the way though, I’ve felt that imposter syndrome creeping back in – why should these people spend their incredibly valuable time listening to me? My job title has never been Security Consultant, Pen Tester or CISO but I’ve got the knowledge to share. Wouldn’t it be useful if I had a certificate to prove it! Selecting the Certified Ethical Hacker certification was straightforward. I was familiar with that cert and the competing qualifications. CEH is broadly recognised, even approved for meeting US Department of Defense job requirements. All I needed to do was pass the exam. With the knowledge in hand, I wondered if I really needed to spend £4,000 for an intensive 12 hour a day, 5-day course to get a certification. Sitting the exam, without the training, is just $750 US. It would have been unwise to sit the exam with no preparation even with a broad knowledge of infosec. I needed to make sure I’d covered the syllabus. The key, for me, came from Pluralsight. They have a wide range of video-based training material and a CEH track from Troy Hunt and Dale Meredith. I’ve followed Troy Hunt’s blog for years. I’ve been to his Hack Yourself First workshop. He’s a great public speaker. I didn’t know much about Dale Meredith but I do know the efforts that Pluralsight and their authors go to in producing content so I was happy he’d be able to deliver. I work at ByBox and we encourage the team to use Pluralsight as part of their training. This means the Pluralsight subscription was ready to go. There’s a further reason why video-based training was a good way to go for me and it’s an interesting one… cycling. 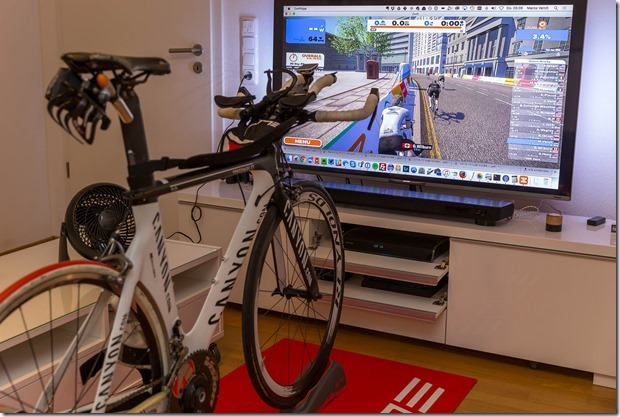 Last year, I invested in a smart-trainer that turns a road bike into an interactive cycling game via Zwift. The photo below shows a similar setup to mine. This was great for improving my fitness over the winter but I found I could train and watch Pluralsight videos at the same time. Two types of training combined! Handily, a Humble Bundle of security eBooks containing Certified Ethical Hacker Version 9 Study Guide came up so I added that to the training (but not on the bike). I knew some memorisation of tools and processes would be required. For example, I don’t spend every day using nmap and you’re expected to know all of the command line options. At somewhere between 1.5x and 2x speed, I got through the 76 hour Pluralsight CEH track in around 40 hours. I had probably spent another 5 hours on extra learning. Was I ready? As I mentioned, my first attempt at the CEH exam didn’t go well. 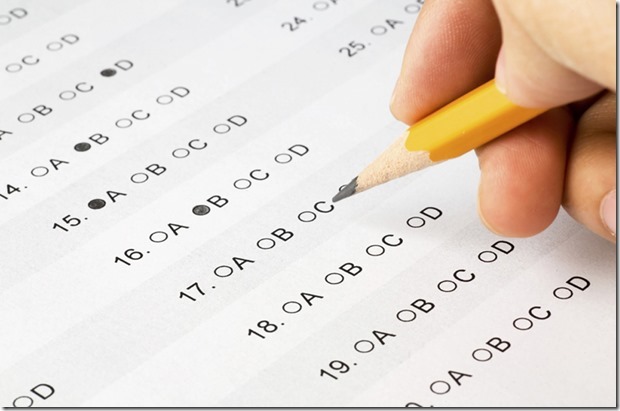 As I started the four-hour exam at the second attempt, I did a bit of QA testing of my own. I talked about the mechanics of the exam process in that blog so I won’t go into them here but having moved on to the second question, I went back to review the first, knowing that had caused an error last time round. Everything seemed to be working properly – perhaps I’d get through this thing? You’re allowed nearly two minutes per question and I found that was plenty. To make sure I didn’t run out of time inadvertently, I’d mark questions for review where I wasn’t comfortable with the answer so I could return to them later. I spent about an hour and a half answering all the questions and an extra 15 minutes going over questions that needed extra attention. I have a lot of respect for those writing in a second language. The English language is fluid and we’re not computers so we can interpret meaning but I think clarity of questions would benefit everyone. Infosec is a broad subject and the CEH syllabus is sufficiently broad to match. It goes into enough depth so that you have a good understanding of the topics but there’s always room to go deeper. Armed with this level of knowledge, it’s easier to find out more. I’m not likely to spend much time in buffer overflows but if I need to, I have a good start. I did wonder how quickly I’d get results from the online exam. Would the answers have to go for some sort of verification? I was very thankful that the result came immediately – I’d passed. Taking the exam twice was not what I had planned and I’m relieved that the process is now complete. I do believe that “every day’s a school day” and I’ve certainly learnt through training for the CEH certification. I won’t be standing up at speaking events with my certificate in hand but I will add it to the bio and hopefully people will feel it’s worth seeing me speak. See you at the next one?